I apologize in advance for this belated review. I bought these boots a few months ago but haven't had a chance to do a proper review for you guys. I appreciate bloggers who do reviews in a timely manner. One of the items on my Fall/Winter wish-list this year was a pair of riding boots. It's always a challenge for me to find a pair of narrow-shaft boots that fit and look good. 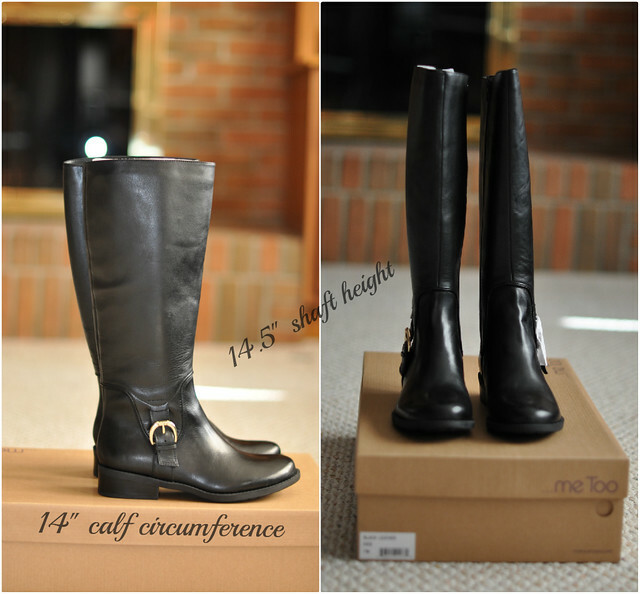 After a few weeks of searching, I ordered the Me Too Dee riding boots to try. Let me start off by saying I am a huge fan of Me Too shoes. This is my third pair from this brand. I've found that Me Too shoes are very comfortable in general. These boots are made out of 100% leather. What I love about these boots is that the leather felt soft but sturdy enough to survive scrapes against curbs or steps. No break in period is required! I actually prefer round toes for extra comfort. I also like the minimal design. An 1.5" inch heel really helps to make me look taller without sacrificing comfort. I wear between a 6.5 and 7 in most shoes and I ordered these in a 7. I ordered a half size up to compensate for thicker winter socks or layered pants. As you can see in the photos below, a size 7 fits me like a dream. 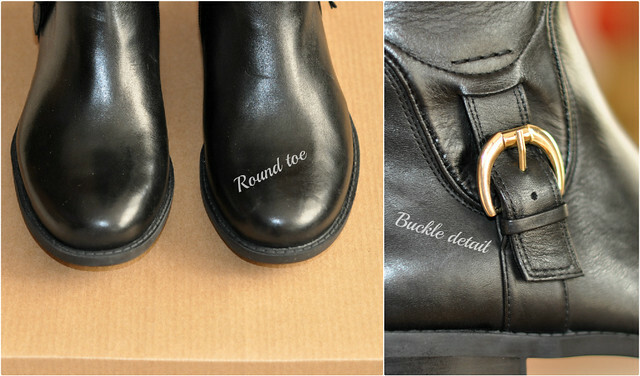 The Me Too Dee riding boots featuring an easy on and off inside zippers, 14.5" shaft height, and 14" boot circumference. These measurements are ideal for me. They fit over jeans, leggings, tights and bare legs just fine. These boots are available in black and brown (regular and wide calf). Great review, they fit you perfectly. I love boots in all leather. Sydney, I think there are no other stylish flat or low-heel boots quite like riding boots. These here are very nice on you. The profile and shape of these riding boots are nothing short of charming. These boots are such a classic for winter. They look like they fit perfectly on you! those riding boots are SOOOO cute! and they look so adorable on you!! Those boots look great - thanks for the review, I haven't tried Me Too shoes yet! I own the brown pair and love them! Thank you for sharing Sydney. I am looking for one for the longest time but can't seem to find one that about 13 to 13.5 shaft height. love these on you! i'd curious to see the brown ones. i hope you get them. Love these boots! I went on a boot craze and bought 5 myself. Thanks for checking up on me! I apologize for the late reply, I have been in post labor confinement guarded by mom and MIL ;) My little dragon is already 6 weeks old. Oh how time flies!